Wooden Booms - Handmade in Springfield, MA, with Baltic Birch plywood. 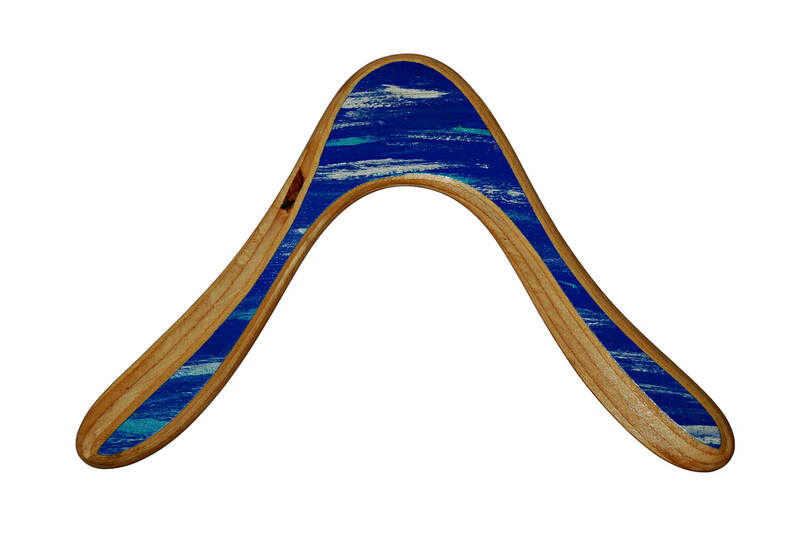 Each wooden boomerang is a unique artistic sporting good! No two are exactly alike. 10-15 yard mid-height circular flight path, with lots of spin and hover! 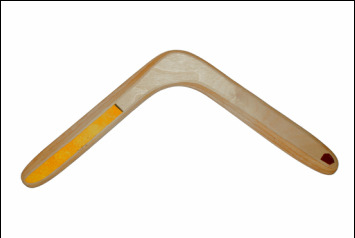 This boom carves a tight circle and lays over quickly with lots of spin and hover! Triblade Style. Beginner level and tons of fun for beginners to advanced. 20-25-yard, mid-height, circular flight path. 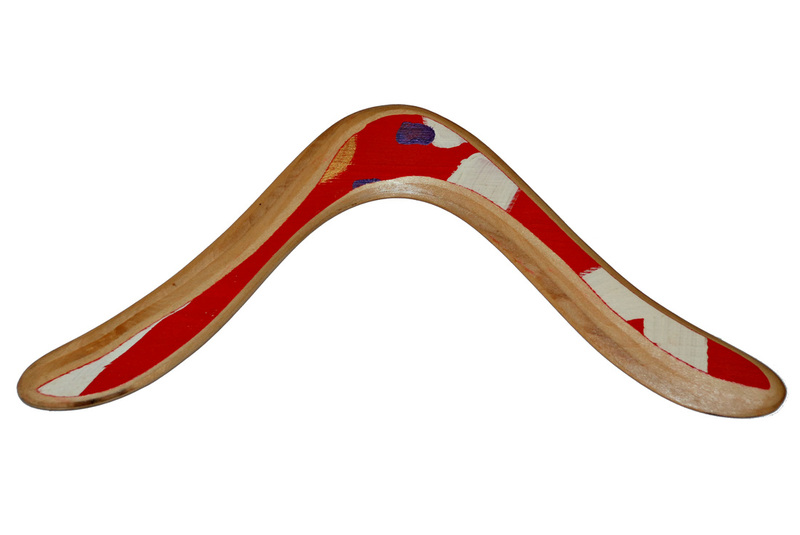 Easy to throw, good beginner boomerang. Cross between a traditional style and v-style. Medium spin and good hover for easy catch. 20-25 yard, high, circular flight path, with lots of spin and hover. This boom rises high in air makes one complete larger circle, then another smaller circle and hovers down like a maple seed for the catch! Traditional style. Beginner and up. 20-25 yard, mid-height elliptical flight path. Fast return with high spin. Very fun! 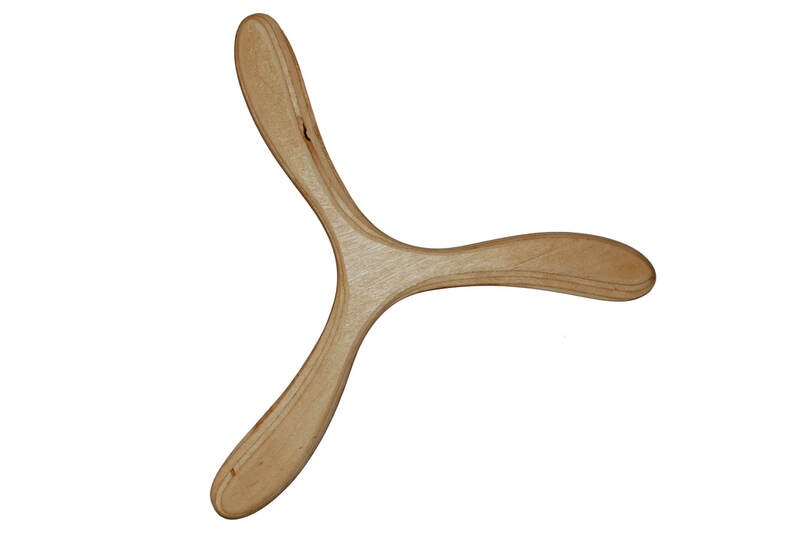 V-style boomerang. Beginner and up. 28-30 yard, mid to low, flight path. Long elliptical, very graceful with a slow spin and hover at the end. 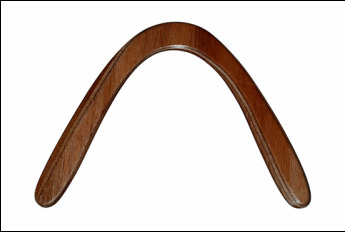 Arch style. Beginner to Intermediate.